This encyclopedia collection stands as a record of my travels in the form of sculpted books. In Meteorology, I have torn the pages of this book to create the shape of a thunderstorm moving over a prairie. The beginning pages reference the building storm and then climax as the thunderhead breaches the troposphere. Denouement shapes mimic the dissipating storm. I pierce pages to describe northern hemisphere constellations that I observed over the summer in Cosmology. The pages begin with the first stars that appear, like the summer triangle. Soon the pages fill with holes creating a textured map of the night sky. In the end, the holes subside as stars disappear in the morning. 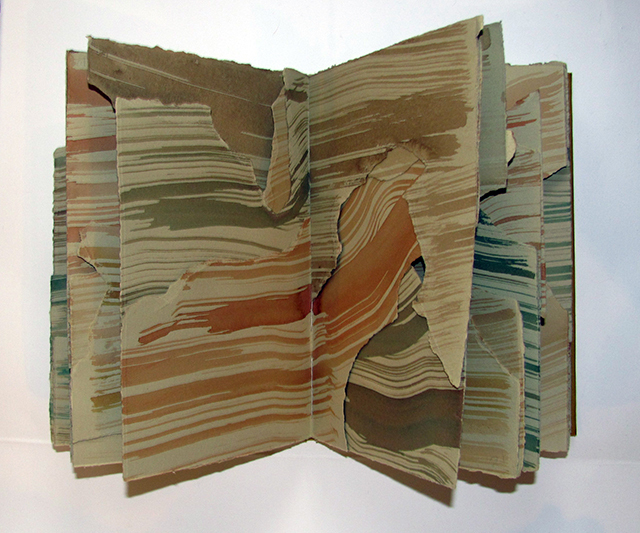 Geology features ink striations on paper and torn pages evoke rock formations. Movement through the book resembles the process of excavation or passage through a cave. If you ask my relatives, you’ll hear about the times that I drew on the walls, my little sister, and my dog when I was a child. I didn’t think seriously about being an artist until I was out of high school and working as a graphic designer. Painting was my real creative outlet where I could work beyond the constraints of client deadlines and the limitations of fussy printers. In fiber and material studies, I could dig into the rich concepts latent in evocative materials. 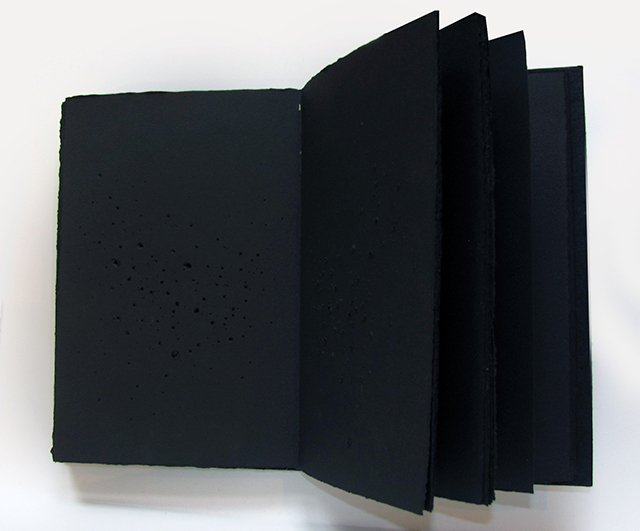 Working with artists books introduced sequential images and time to my work. My background is in mechanical drafting and graphic design for print. Aside from making me a better draftsman, drafting definitely got me to look critically at the structure of objects. My design experience included time researching and developing new processes. This sparked a compulsion in me to constantly learn new techniques, and made me think critically about what a process added conceptually to a project. I have a profound respect for the wilderness and natural ecosystems. I am curious about the interaction between these pristine environments and the encroachment of human stuff. It is inevitable that this would spill into my art practice. Beyond documenting my time out in nature as well as my natural habitat (Chicago), I also look at the environmental impact of products that are amassing their own landscape. I am currently working on a series, Plastic Deposits on the Fossil Record, that looks at current geological processes that are occurring as a result of consume-and-dispose culture in combination with materials engineered to last infinitely longer than lifetimes of the users and objects they purchase. Plastic debris breaks down and is washed to the sea where ocean currents corral the floating bits together. Making up massive gyres, the plastic continues to degrade into smaller particles. Tiny pieces of broken-down plastic wash ashore, and with heat, combine with naturally occurring rock to create strange formations. Here we find people involved in creating geological features instead of passively observing them. Each rock fossilizes the layered history of thousands of strangers who share little more than the gesture of innocently tossing away refuse. I begin by photocopying plastic containers I have used to make collage materials. I repeatedly break apart, mix, and layer these pieces in a process akin to my source material to make final images. These images are screen printed onto felt made of recycled plastic bottles. I use heat press dyes to create layers of hyper color strata, and suede base in plastic colors. I constantly have ideas that need to be realized. My hands work tirelessly to bring my ideas into physical existence. It changes by the minute! I go to local shows as often as I can, as well as scour the internet for artists who are really trying new things. At the moment, I am pretty crazy about Dana DeAno’s collages, Alexis Rockman’s storm paintings, and Tara Donovan’s everything. I love simply walking around outside, especially if I happen to wander into a museum or two. I take a sketchbook with me everywhere I go. I also collect bits of debris like a bird. They end up in my work, and they are a small effort to clean up litter. Amanda Mulcahy is a Chicago native who fancies herself an urban naturalist, collecting and documenting the minutiae of city life for further studio study. 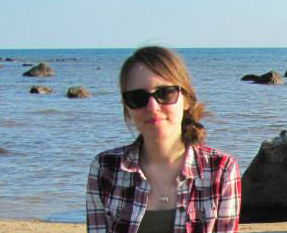 She begins many projects in locations as varied as Lakeview alleyways or Pictured Rocks rock faces. 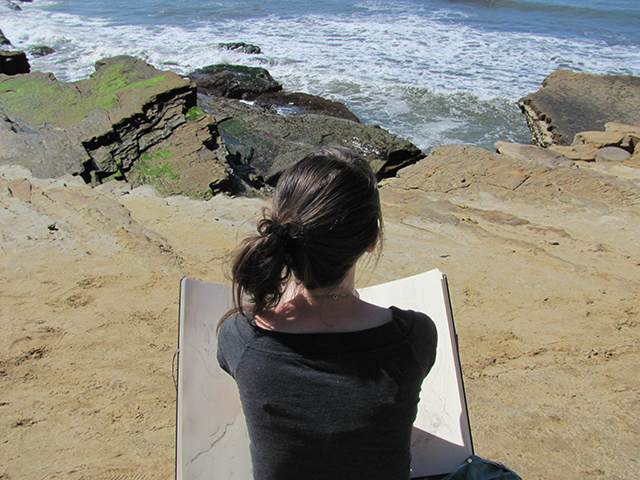 She documents her observations as both an urban apartment dweller, and National Park enthusiast. Although she employs a variety of materials (such as rag paper, bed linens, old text books, Polaroids, and crochet), she approaches her practice from a painter’s perspective. 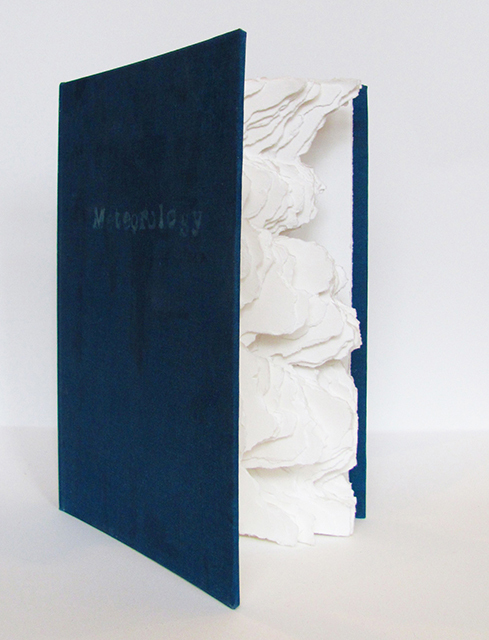 This entry was posted in Uncategorized and tagged #geology, artist book, Chicago, cosmology, meteorology. Bookmark the permalink. Amanda Mulcahy is a featured artist on 365 Artists Today. Do check out her work, it’s beautiful and profound.